Let them know your true passion with our Got Vino Apron. Our Got Vino Adjustable Bib Apron with 3 Pockets. 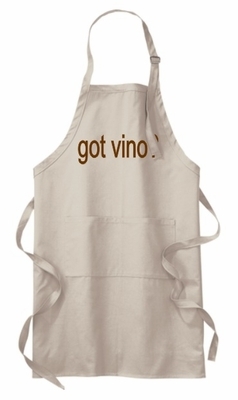 Remember� you found the Got Vino Aprons at TShirtHub.com, where high quality came at a low price.